Prince George's County is offering gun owners gift cards worth up to $175 if they anonymously trade in their firearms. Police are continuing a longstanding partnership with area churches to bring down the number of guns on the streets -- no questions asked. Citizens interested in cashing in can visit First Baptist Church of Glenarden at 600 Watkins Park Drive in Upper Marlboro between 10 a.m. and 1 p.m. Saturday. 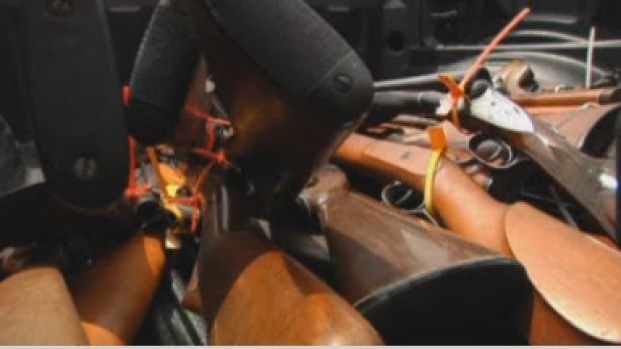 Police ask that you put your unloaded gun in the trunk of your car before you arrive. Prince George's County police collected guns in exchange for gift cards during a buyback event. 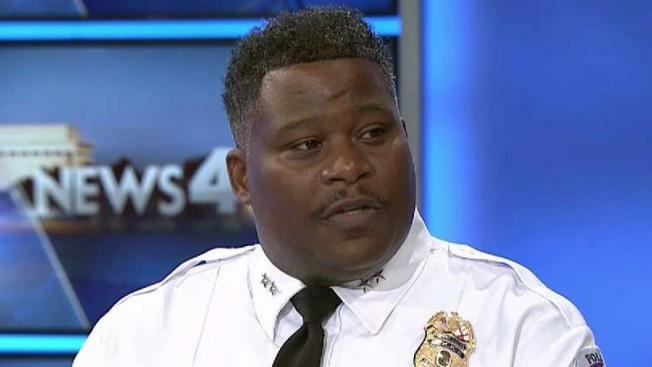 NBCWashington's Derrick Ward has the story. A uniformed officer will provide instructions once you arrive. You will receive a gift card based on the type of gun. You can trade a shotguns and rifles for $75, handguns for $125 and automatic or semi-automatic guns for $175. If you have unwanted ammunition, BB guns or pellet guns, you can turn those in, but they aren't eligible for the buyback program. No questions will be asked and you can donate anonymously, deputy police chief George Nichols said. Nichols said the program started in 2012. An officer told News4 they had collected guns with the serial numbers drilled off, sawed off shotguns and guns that had been configured into automatic guns. In 2013, News4 reported that Prince George's County gave out nearly $150,000 worth of gift cards and collected nearly 1,000 guns through buyback programs.